Teeth are examined in depth, leading to a complete evaluation of the child’s oral health. Evaluation includes presence of cavities, occlusions, malformations, bite alignment, and general oral health. Dental X-rays have come a long way. 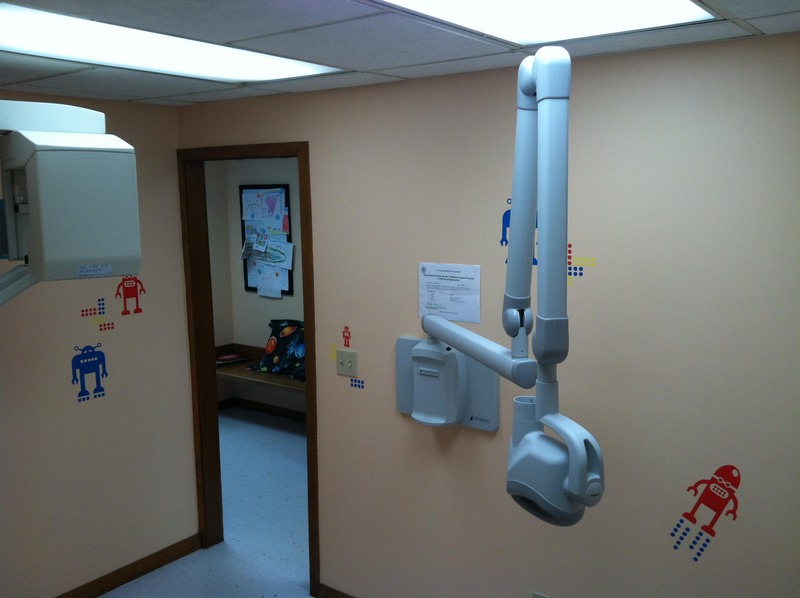 Today’s dental X-rays are safer, faster, more comfortable and more informative than the X-rays of years past. Digital X-rays, one of the latest and most advanced dental technologies, produce high-quality images of your teeth that can be viewed instantly by you and your dentist. Digital X-rays reduce radiation by up to 90% and provide exceptional diagnostic information to ensure that potential problems are caught in their earliest stages. Teeth’s chewing surface is the most preponderant to get cavities. Sealants are applied on those surfaces to avoid cavities. Our office offers both Amalgam (silver) and Composite (tooth-colored or white) fillings. Composite fillings are used to repair areas where cosmetic appearance is important. This material is used to repair both tooth decay and fractured teeth. It’s called tooth-colored filling because the filling material matches the color of natural teeth very closely. 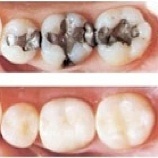 Amalgam (silver) fillings are used primarily on molars and baby teeth that will eventually fall out. The doctor may recommend the use of one type of material over the other depending on the tooth in question. Please note that your insurance provider may have restrictions on what type of material is used on back teeth (molars). If a tooth has too much decay to be treated with a traditional filling the doctor may recommend a stainless steel crown. 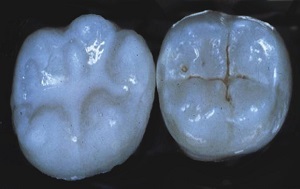 A stainless steel crown is used to preserve the remaining healthy part of the tooth after decay has been removed until it is ready to exfoliate (fall out) on its own. When tooth decay has spread to the nerve of the tooth, also known as the pulp, a pulpotomy or nerve treatment may be necessary. Once the nerve has been treated the doctor will restore the tooth either with a filling or a stainless steel crown. This procedure is much less invasive than a traditional root canal and is only performed on baby teeth in attempt to preserve the tooth until it is ready to exfoliate (fall out) on its own. In some cases it is necessary to remove a tooth if it is beyond repair. If a baby tooth has been extracted, in many cases, space maintainers are required to keep proper separation between teeth in order to allow the growth and right positioning of permanent teeth. This is a non invasive appliance that will be removed by the doctor once the permanent tooth is ready to erupt. 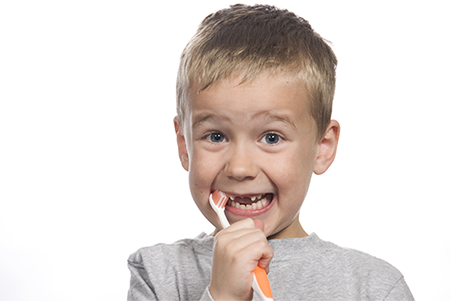 For most children, a caring dental environment is sufficient to make them feel comfortable. Sometimes, however, a child may need more support to feel relaxed. Nitrous Oxide is a sedative used to calm a child and make them feel more at ease. If we feel that this is necessary for your child Dr. Evangelisti will take the time to go over the details of using Nitrous Oxide with you one on one.